As a member, enjoy our beautiful lounge, which comfortably seats seventy-eight people and offers a a full lounge menu, weekly specials and a complete wine and beer list. Celebrate your next event at the Arandale Ballroom. 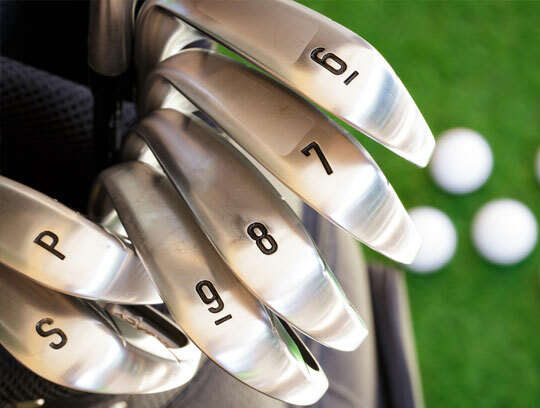 Immersed in the historic town of Bedford, our Nine-hole golf course offers a great variety of playing options for all skills levels. Plus with little wait times, under 2 hour rounds, a fully stocked Pro Shop our golf course is one of a kind. Bring the family out and cool off in our member's pool. Enjoy a cocktail or some eats from the lounge all while taking in the beautiful scenery. The Bedford Elks Country Club and the Benevolent and Protective Order of Elks has served Bedford, Pennsylvania, as a family-friendly recreation center for more than 70 years. With views of the surrounding forested mountains and a scenic golf course, the Bedford Elks Country Club is a relaxing, lively site for family fun. Believe in the goodness in thyself as well as others. Protect childhood with tenderness, old age with respect, cherish with reverence the memory of those who have passed. Observe faithfully the golden rule. Enjoy the good things of earth. Keep within thee the glorious sunshine of youth and remain always of good cheer. With our many community service projects, the order has continued the Elks tradition of service, including a commitment to serve the people and communities through benevolent programs. "A fun, friendly, family oriented environment. A great place to spend the afternoon with friends and family." "A convenient place with good food, and a great nine hole golf course. A nice atmosphere to enjoy with friends and family." A big thank you to our sponsors for all of your support to the Bedford Elks Country Club.